KMR Kawasaki / SGS International will again have a strong presence on the grid at the 2015 Isle of Man TT Races fuelled by Monster Energy, with Ryan Farquhar's team fielding four riders across the solo race programme. The three-time TT Race winner recently announced he would be returning to the 1000cc classes, campaigning a ZX-10R Kawasaki in the RST Superbike, PokerStars Senior and RL360º Superstock Races, in addition to his expected outing in the Bikenation.co.uk Lightweight event. 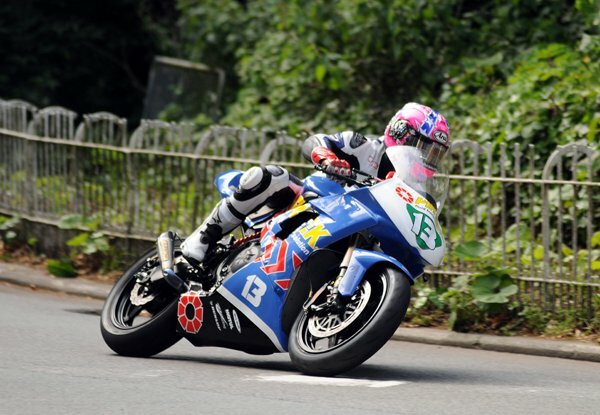 He will also be running Lee Johnston and Connor Behan. Johnston will line up for the first time on a KMR Kawasaki with the 2013 TT Privateer's Trophy winner already having confirmed his rides for the East Coast Construction team in the other solo races. The 26-year old took ninth place in the corresponding race in 2013 and is sure to line up as one of the favourites in the three lap race on board one of Farquhar's immaculately prepared machines. He already has International Road Race success on his CV in this class, with wins at both the North West 200 and Ulster Grand Prix. Webb, meanwhile, enjoyed an excellent first time appearance at the TT in 2014, taking a best finish of 13th in the Lightweight race on the KMR Kawasaki, and backing this up with a trio of bronze replicas in the 1000cc events where he lapped at close to 121mph. The former 125cc and Moto 3 GP rider has set his sights on the British Supersport Championship this year but will once more ride one of Farquhar's ER-6 Kawasaki's in the bikenation.co.uk Lightweight TT Race. Connor Behan made an impressive TT debut last June, finishing an excellent ninth in the bikenation.co.uk Lightweight Race as well as taking a brace of bronze replicas in the two Monster Energy Supersport Races where he also lapped in excess of 120mph. With the 23-year also having secured the 2014 Irish Road Race Supertwins Championship, Farquhar has had no hesitation in fielding the Cheshire rider again this year. "I'm really excited about this year's TT. I'm putting a lot into my own on track efforts this year and that is a priority for me, but I am also excited to be working with three of the brightest prospects in the sport in Lee Johnston, Danny Webb and Connor Behan. Lee has shown his class for a few years now and is ready to make the big breakthrough and we are delighted to have him on one of our Kawasaki 650's for the Lightweight TT where he will start as one of the favourites." "Danny is a truly world class rider and was a joy to work with last year. He showed straight away how talented he is with a very strong TT debut and I am pleased we are able to work together again in his second year. Connor has a lot of natural talent and I was very impressed by how well he did at the TT last year. I am sure he will build on that this time around and will continue to progress further up the leader board. He is still very young but he has the makings of a great TT career ahead of him."